I realized that I had never officially said goodbye to WordPress, whoops. It’s been a great several years or so, but I have decided to permanently move to Squarespace: noodlenthread.net. 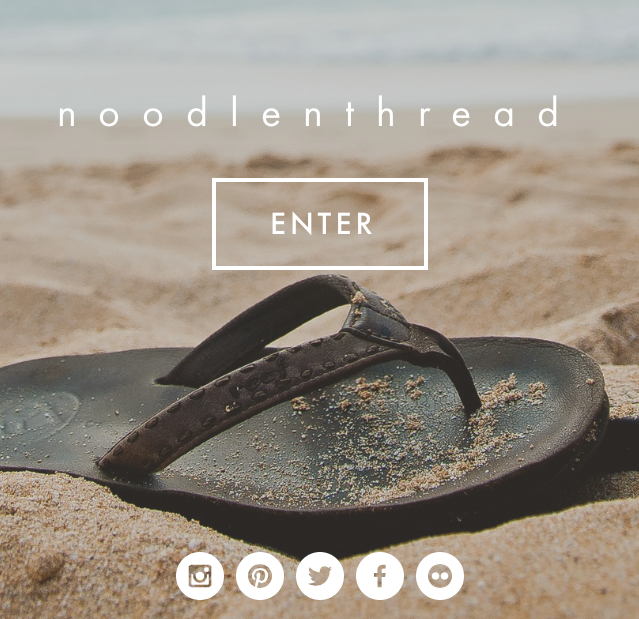 To all my lovely current feed subscribers or followers, please visit and re-subscribe at my new place: noodlenthread.net/blog. Back in mid-May, I went on a 3-week vacation with O to Vietnam and Japan. It was his first time in Vietnam, my first time meeting his dad AND our first long international trip alone together. No pressure, right? :) Nah, we had such a blast (despite a few mishaps here and there). It was definitely a food trip for us. We (well, mainly me) made a list of all the food and/or places we wanted to eat in each location we stayed at. And needless to say, we almost hit 10 out of 10 spots. The weather was great most of the time (we caught the beginning of the raining season), and we got to enjoy some beautiful beaches in both countries. It’s been over a month since we came back and I’m STILL craving/missing the food we ate, especially in Japan. It’s summer again, and I have decided to resume blogging after such a long break. My workroom moved (this is the second time–and probably not the last) but I’m happy to say that it is settled for the foreseeable future. Since then I have pretty much holed myself up in there, doing as much as I could to draw out any ounce of inspiration I have left in me from the last couple years. Right now everything is rusty and full of practice. 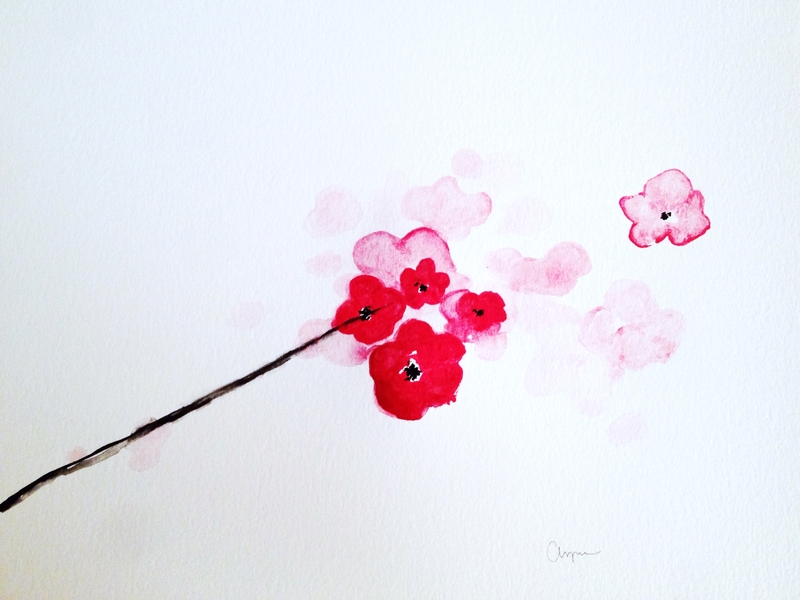 But, I have managed to make two pairs of earrings, two necklaces, a watercolor piece (shown above) and a very rough sketch of the next painting I’m going to work on. I feel like I suddenly have so many things to make/create! That’s a good thing, right? Whether it’s been 3 years, 3 months, 3 weeks or 3 days–I don’t miss him any less. The fact that I can swell up in tears at the instant thought of him means nothing has really changed. It is especially difficult to deal with around this time of the year. I cannot fall asleep when my head is full of thoughts about him. I keep seeing him in my dreams when I finally do. I look at his photos and memories come flooding back. The only comforting thought to carry on is the glimmer of hope that he is always with me, watching over me and our family. He was the happiest and most optimistic person I have ever met. He might have been flawed to other people, but he was always perfect in my eyes. After he was gone, a permanent dark cloud looms over our heads every day. Nothing is the same anymore. Just a big broken mirror with glass pieces glued in place. Still, I will try to make him proud. Because I am my father’s daughter. Because he is my hero. even the stars, they burn. After two+ years, I finally decided to chop my long hair off. It’s been fun, long hair, but my inner self has always preferred short (if not shorter) hair. Long hair is pretty and can even be glamorous, but for whatever reason I just feel it kind of lacks everything else. Anyway, this was mainly a result of me feeling restless lately. They always come and go–coming more often than leaving, actually. In those moments I would flood my head with all sorts of thoughts or escape in my daydreams, which generally comprise of three things: a) living in my own place b) traveling to warm/sunny beaches or c) leaving Seattle [semi-permanently]. Since none of those things are happening any time soon, I desperately crave for other therapeutic, happy distractions. Even temporary, superficial distractions are welcome.